Cheap Camo Dog Tags - 12 Ct.
Camo Dog Tags - 12 Ct. 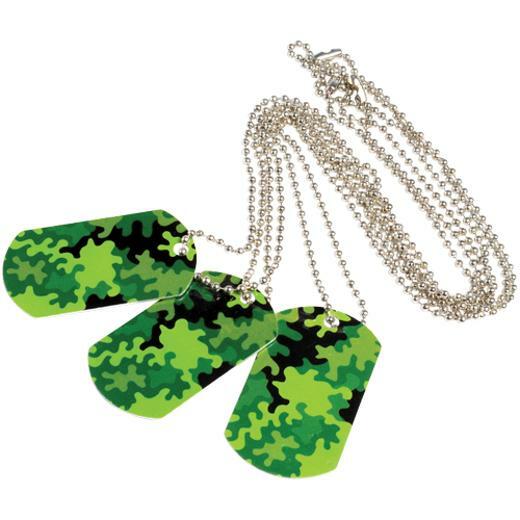 Complete your little soldier's ensemble with their very own camo-themed dog tag. Perfectly sized for goody bags, these necklaces also make great party favors for your child's next camouflage birthday! L: 5.95 in. W: 0.75 in. H: 4.4 in.